Neoss® offers a very comprehensive range of healing abutments to cover the large range of clinical situations and demands on soft tissue healing for improved esthetics. PEEK is a tissue friendly material and the material of choice for over 10 years for the Neoss healing abutments. It has shown an impressive interaction to soft tissue and thereby retaining outstanding levels of soft and bone tissue levels around the Neoss Implants. 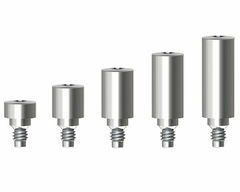 For ease of use, two healing abutments in different heights are always provided in each implant kit. The Ø5.0–6.5 implant kits include a wider healing abutment. Esthetic Healing Abutments are made in a range of anatomical shapes and enable simple creation of natural emergence profiles. Esthetic Healing Abutments are equipped with features making it possible to be used with a ScanPeg, i.e. a scan body, to record a digital impression with an intra-oral scanner. The soft tissue remains undisturbed until placement of the final restoration with a matching anatomical margin incorporated in the individual or stock abutment ( i.e. Esthetiline solution). Titanium Healing Abutments are available in five different heights, and provide a solution in multi-unit cases with thick soft tissue. 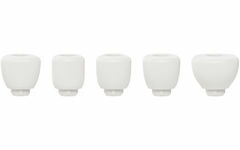 The Esthetic healing abutments are available in five different anatomical shapes. 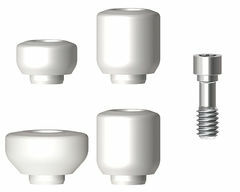 Healing Abutments Ti are available in heights 2, 4, 6, 8 & 10mm and have a diameter of 4.0mm. Ti Healing Abutment: commercially pure titanium grade IV. PEEK Healing Abutments, Esthetic Healing Abutments and Ti Healing Abutments are packaged sterile. 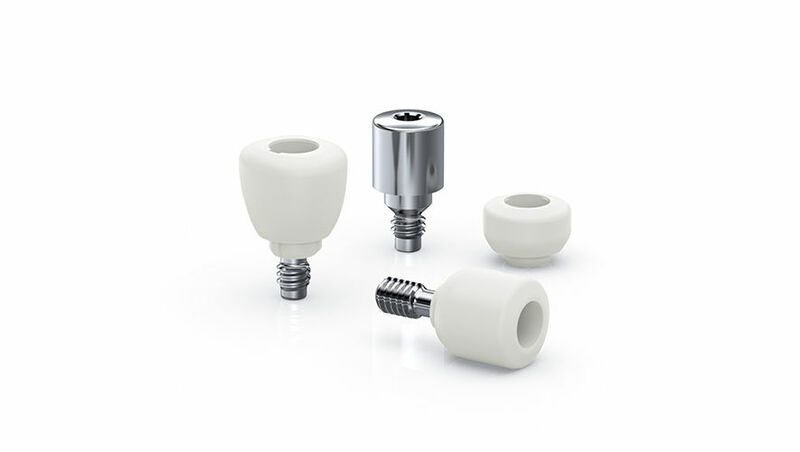 PEEK Healing Abutments and Esthetic Healing Abutments include titanium screw. Esthetic Healing Abutments also include a ScanPeg for intra-oral scanning. For all procedure details please see Neoss Implant System manual and Esthetic Healing Abutments with ScanPeg Instructions for Use.